Santa Catarina is a state in the southern region of Brazil. It is situated between Parana and Rio Grande do Sul. 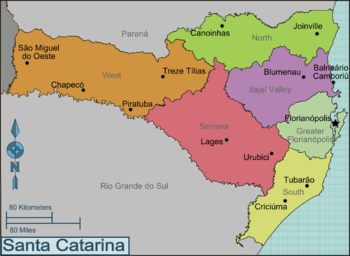 For other places with the same name, see Santa Catarina (disambiguation). This page was last edited on 2 July 2015, at 19:08.